We checked into our new hotel for one night and then headed to the beach. The new three days we would be on an easy rider motorbike tour so we decided to take it easy and top up the tan little. 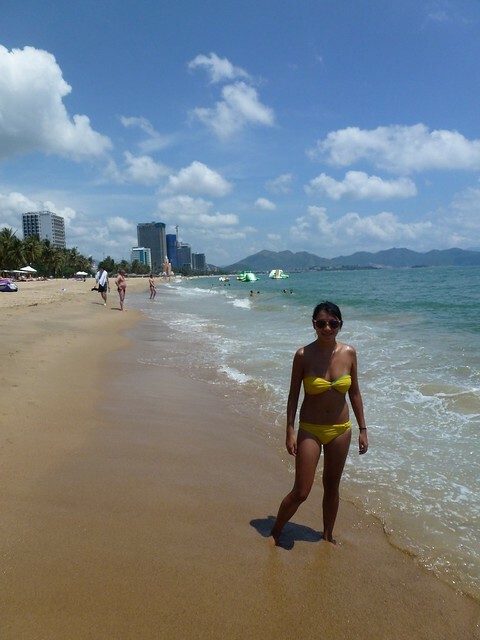 The beach at Nha Trang is good enough for sunbathing, you can have a little dip and swim but it’s not going to register in the top 10 beaches in Asia. After hours on the beach we headed back to the hotel packed for the next day and then ate. 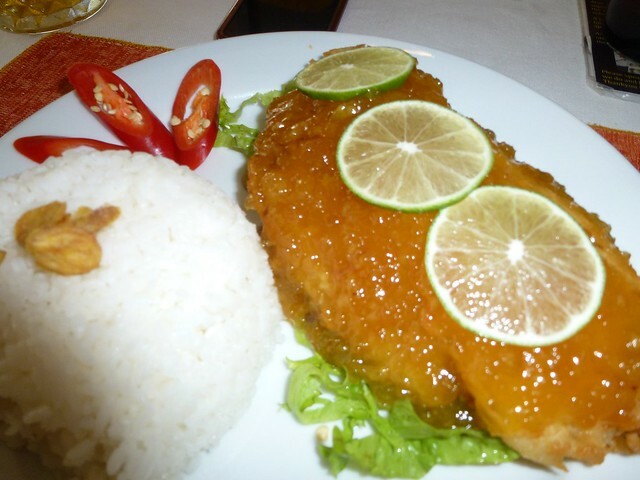 A very western meal, lemon chicken and rice, while I had fish and chips! 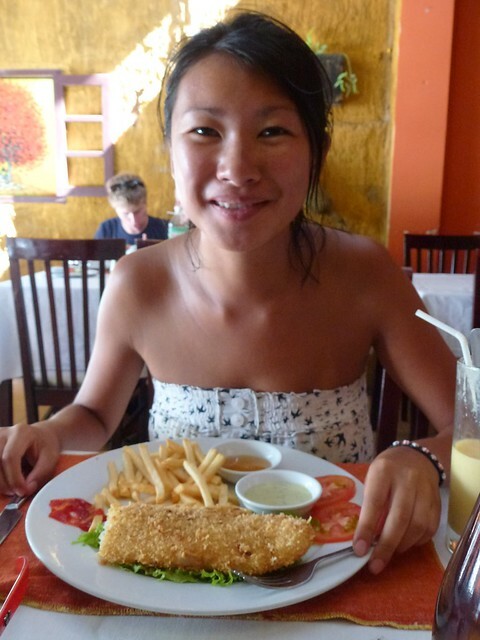 This entry was posted in Vietnam and tagged beach, Nha Trang. Bookmark the permalink.